With a recent EP and full-length Born Again under their belt in 2018, the future is looking upwards for the Russian act Fallcie. Combining a modern metal edge with plenty of hooks and groove with a tendency to bring in some more extreme elements from time to time, there’s a fertile ground that they have struck upon. It’s heavy, it’s catchy, and there is plenty of legwork in between. After a big 2018, the band is certainly willing to spread their wings and hit the open road. We checked in with guitarist Alexander Korsak to get some introductory material on the band, as well as see what lies ahead this year. Dead Rhetoric: Where did the name Fallcie come from? Alexander Korsak: The word doesn’t exist in any language. In fact we changed ‘Fal’cie’ that comes from Final Fantasy game and got the name of the band. 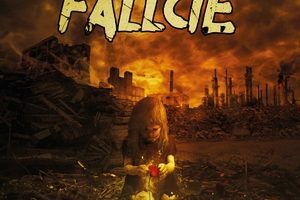 Dead Rhetoric: What do you feel are some of the elements that make Fallcie stand out? Korsak: I think that our mix of a very brutal hi-speed music (blastbeats, breakdowns) with both extreme and clean melodic female voices are kind of outstanding. Usually female fronted bands use clean voice with melodic metal or extreme growls/screams with brutal aggressive metal. We mix everything. Dead Rhetoric: You released an EP earlier in 2018 with a different vocalist. How did you find Valentina Lavrinenko and what do you feel she has added to the band? Korsak: The former singer was a session member of our band, she helped us with recording and some tours, but she never was a full-time member. Valentina joined us in summer 2018, she composed vocal lines for the whole album during a single month! She is a very talented singer that made our music more melodic. Dead Rhetoric: How do you feel the band has grown as a whole? Korsak: We are growing as a band (or as a team) every show, every rehearsal. We earn experience – as musicians playing shows and recording songs, and as just people living shoulder to shoulder while touring, and that helps us developing further. Dead Rhetoric: What can you say about the album artwork? Korsak: The artwork was made by my friend from Argentina, his name is Federico Bossinga. He did an outstanding job, he totally got our idea and put it onto the paper. We felt like the band was born again as Valentina joined us, and that was one of the ideas. Dead Rhetoric: What would you like to see Fallcie accomplish as you continue onward? Korsak: Surely getting a larger audience. Our main goal is to let more people hear our music, so we are now doing everything to reach that goal. Dead Rhetoric: What are some challenges you face as a newer band? Korsak: We changed the name in 2017 from NU-NATION, so the main challenge was to prove that we are better than we were while playing as on old band. Some people really don’t like any changes, but right now, taking a look back I understand that we did everything right. Dead Rhetoric: What can you say about your live shows? Is there any special band that you would love to open for or tour with? Korsak: We love playing live. It’s important to make a show, not only to play your instrument, but also to act on a stage, to give your energy to the crowd on so on. We also always work on our live sound, upgrade our gear to make it better and better. As for the special band, of course it would be more than cool to tour with the band that influenced you as a musician. So I’d say Korn or In Flames. Dead Rhetoric: What’s your take on social media, do you feel it gives you a larger push? Korsak: Sure, it helps us a lot. Nowadays everyone can extend a fanbase using only Instagram and Facebook. Dead Rhetoric: What can you speak of about the Russian metal scene at this moment in time? Korsak: Well, there are many metal bands in Russia actually. But as Russia is culturally separated, most of the bands here work for in-country market and even don’t think going abroad. That’s why in general the level of the scene is currently low comparing to Europe or North America. 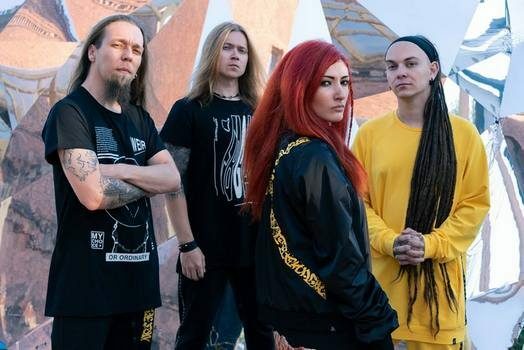 But there are some Russian-speaking bands that are touring worldwide and having success, like Arkona, Jinjer, Infected Rain, Siberian Meat Grinder, Slaughter To Prevail and some others. I hope the number will increase in future. Dead Rhetoric: What plans do you have for Fallcie in 2019? Korsak: To work hard on everything. Right now we have a new music video scheduled, a tour for Spring with some open-air festivals confirmed. So we’ll see.